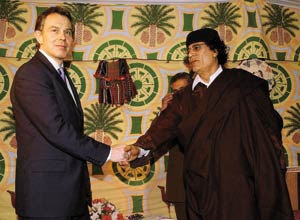 Ian Birrill, co-founder of Africa Express and all round fount of knowledge about international affairs, flagged this up on Twitter and it’s absolutely bewitching. I’m a big fan of African music generally, but it would take a very hard-hearted music fan, no matter what he or she thought of world music, to find fault with this bit of casual, masterly, euphoric guitar playing. The star is (according to Boing Boing) “Ronnie Moipolai from Kopong village in the Kweneng district 50 km west of the capitol Gaborone”. He is 29 years old and goes around the shebeens selling and playing his songs for 5Pula each (80dollarcents). He learned guitar from his now late father, has 3 brothers that also play guitar (KB is one of them), has also a big sister and plenty of kids in the yard. Nobody has a formal job and his mother sells Chibuku beer and firewood they get from the bush trying to make ends meet. A couple of years ago I picked up Amadou & Mariam’s stunning ‘Dimanche à Bamako’ album and was blown away not just by the wonderful songs but by the fact that on several occasions the vocal melodies the husband and wife duo struck up seemed like exact echoes of the melodies that Damon Albarn has been using – not just in the last few years, when his interest in African music has been well known, but right through his career. It seemed like an incongruous but strangely apt comparison, and one of those happy accidents of art which sometimes magically occur. Their new single, the gorgeous ‘Samali’ contains yet more of these hypnotic melodies, but if the rest of the song also rings bells it’s because it’s been produced (and, one suspects, co-written) by Albarn himself, who spins a spellbinding concoction of echoey keyboards, beats and atmospherics around the vocal, producing along the way a song that sounds utterly modern without ever sounding contrived. It’s a magnificent single, and deserves to be a hit. You can stream it here. There’s a great little interview with the incomparable Tony Allen, whose lovely Afro Disco Beat reissue has been all over my iPod this month, in today’s Independent. Allen is – incredibly – now 67 years old. Anyone who, like me, saw him live this year and marvelled at his drumming will shake their heads in disbelief at this. Yet if anything he is speeding up rather than slowing down. He’s about to embark on a reprise of last year’s hugely successful African Soul Rebels tour (with Salif Keita and Awadi), is working on a new solo record, and reveals that he reconvened with Damon Albarn, Paul Simonen and Simon Tong in December to work on the new Good, The Bad and The Queen record. I’m a massive Tony Allen fan in any case (his drumming on Fela Kuti‘s Africa 70 records has to be heard to be believed) but obviously I’m excited about him teaming up with Albarn once again. I’m optimistic that this time he’ll be let off the leash somewhat, as the best moments on the debut album – and particularly on the accompanying tour – were those where Allen’s drumming kicked off. And as interesting as Allen’s current activities are, it’s a pleasure to hear him talk about his past. Later this year he’s set aside time for a collaboration with some fellow African musicians and members of James Brown’s band. An opportunity for him to set the record straight about Brown’s legendary visit to Africa in 1970. Regular readers will know that I’ve been writing a series of posts for Hii Dunia on African music of late – my post on Mali was, after all, reproduced here just a few days ago. Anyone who enjoyed that, or has an interest in the subject (or the most basic level of politeness, goddamnit!) is welcome to make me feel important by going over to Hii Dunia and reading my latest contribution – a post which purports to be about music and the African exile, but which is really just a potted biography of the excellent Thomas Mapfumo – a wonderful musician who provides a telling counterpoint to the disgraceful Robert Mugabe. In days to come, I’m going to continue with the exile theme, and write about musicians from Sierre Leone and Somalia. Keep your eyes peeled. Here’s the post about Mapfumo – and there’s a quick extract below. Thomas Mapfumo is one of Africa’s most important musicians. Born in Zimbabwe (then Rhodesia) in 1945, he spearheaded the creation of a new musical style, Chimurenga, which updated the traditional Shona music of his nation and mapped it to the contours of rock instrumentation – rather than use thumb pianos for the distinct, chiming cyclical melodies, Mapfumo played electric guitar, and sang, to increasingly political ends, in his native language rather than in English. 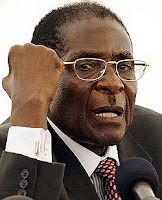 Also relevent to this is Dan’s post on Africa’s Worst Leaders – which actually began life over here on Assistant Blog, but is now up on Hii Dunia too – take a look. This post was written as part one of a series on African music for the ace development blog Hii Dunia (click here for details). When talking about music in Africa, it is inevitably Mali that first comes to mind. The landlocked, flat country in the heart of West Africa has become synonymous with expressive, beautiful music with a capacity to cross over and win the hearts of Western enthusiasts. In the last seven years Malian music has swept all before it and threatened, for the first time since the early 1980s, to push African music back into popular culture in the UK and Europe. So why is the music of a land so arid so musically fertile? And where should the novice start? When Ali Farka Touré died in March 2006, it was predictable that the world music community would greatly mourn the loss of perhaps Africa’s greatest and most recognisable guitarist. What was slightly more surprising was that coverage of his passing extended far beyond specialist music magazines and into the main pages of the international press. Farka Touré’s legacy, besides a run of stunning records, is that he carried the torch for Malian music. Yet he is not alone. Amadou et Mariam, Toumani Diabaté and Salif Keita all mine the rich vein of musical history in one of the world’s poorest nations, combining artistic endeavour with critical and commercial acclaim. Why so many wondrous artists? This is not an easy question to answer. A former French colony which is now one of the most politically and socially stable in Africa, Mali saw many of its finest musicians, like The Rail Band and Les Ambassadeurs decamp for the Ivory Coast in the late 1970s, driven away by the poor economic climate. Yet others, such as the extraordinary Albino folk singer Salif Keita, headed for Paris – and helped give root to a climate of cross-cultural exchange between states previously master and servant. They were joined in Paris by the likes of Nigerian drummer Tony Allen, whose own contribution to the development of international music – and hip hop – cannot be understated. In Paris Keita developed and updated the Mande sound, expunging the Cuban influence which had been dominant since the 1960s, and introducing – much to Charlie Gillet’s distress – the sound of synthesisers. Inspired by the mande sound, Parisian record labels – and London’s World Circuit – rushed to document these new sounds. Back in Mali, and shortly to benefit from the rapidly rising profile of Keita and emerging stars such as the splendid duo Amadou et Mariam, who also served their musical apprenticeship with Les Ambassadeurs, the jeliya, or Griot, caste of Malian singers and storytellers (of which the wealthy Keita is not a member) built on the extraordinary legacy of their unique role in Malian culture. Most closely resembling bards, the Griots are wandering musicians and poets, who pass down their skills from generation to generation. They are endogamous, meaning that they do not marry outside their tribes, and as a consequence names recur as if they were enthusiastic recommendations – common and familiar surnames include Kouyaté, Kamissoko, Cissokho, Dambele, Soumano, Kanté, Diabaté and Koné. By this time Farka Touré, still unknown outside Mali, got a job as a sound engineer at Radio Mali. Taking advantage of the opportunity to record his songs, he began sending out cassettes and Sono Discs were quick to release them. By 1994 he had been championed by Gillett, Andy Kershaw and – crucially – Ry Cooder, who recorded the groundbreaking ‘Talking Timbuktu’ with him. It was a revelation, although one which the level-headed Touré did not allow to obstruct his life. He returned to his home town of Niafunke, becoming mayor and concentrating on farming, allowing music to retreat into the background. Yet the genie was out of the bottle. 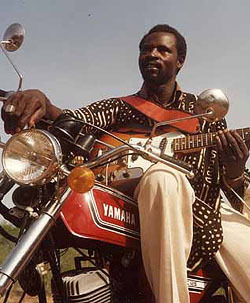 Touré was not the only musician with devastating talent in Mali. Record labels swiftly picked up on stunning albums by the likes of Toumani Diabaté, a master on the Kora (a 21 stringed harp-lute), Boubacar Traoré, another rootsy, blues-flecked exponent of the desert blues, and Touré’s protegy, Afel Bocoum (who later collaborated with Blur’s Damon Albarn on his well received ‘Mali Music’ LP). Despite the success enjoyed by these artists, in his later years Touré remained unconvinced that the youth of Mali (who in fact were more often engaged with the sound of wassoulou artists such as Oumou Sangaré) appreciated the Griot tradition sufficiently. Keen to put things right, he launched into a prolific late surge of recording activity which yielded perhaps his greatest material yet, notably his delicious collaboration with Diabaté, ‘In The Heart of The Moon’, and last year’s final, peerless, ‘Savane’. 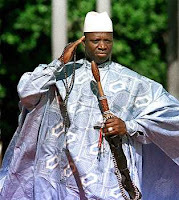 Despite his death, 2007 is as good as time to listen to Malian music as ever. Amadou et Mariam, given a sprightly, pop polish by Spanish producer Manu Chao, are writing and recording the most heartfelt and gorgeous songs of a long career, and recent releases by Bassekou Kouyate and Ngoni ba, along with a sparkling debut by Vieux Farka Touré, the son of the great man himself, promise great things. Best of all, it seems that Tinariwen, the strangest and most original of Mali’s new bands, are on their way to bona fide international rock stardom. If things did go that way, it would be no surprise. Writing from the desert Tourag tradition, Tinariwen – who formed in the rebel camps of Libyan leader Col. Gaddafi – are the first band of their ilk to play the desert blues with electric guitars. Their astonishing sound, which combines hypnotic rhythms, call and response vocals and uncompromising guitar, sounds truly unique – primal and rebellious, leading to (fatuous) comparisons to the White Stripes and (perhaps legitimately) The Clash. Touré is gone, but there is no need for despair – whichever twists, trials and challenges face this remarkable country, the music always survives. There’s just something, it seems, about Mali. If you’re looking for a nice flavour of the country, Damon Albarn’s ‘Mali Music’ is a nice collaborative overview, and, for a more challenging but vibrant entry-point, ‘Bush Taxi Mali’, from the, er, sublime, Sumblime Frequencies label, is a collection of amazing field recordings, incorporating street sounds and local radio as well as original performances. Amazing stuff. Well, the list above might help – otherwise, read the rest of the article here. “For many people, it seems, music remains the most accessible entry point to Africa, often culminating in a real interest in the culture, politics and history of the continent. Over the next few weeks, Hii Dunia will focus on some of the most rebellious, romantic, refined, and by turns melancholy and joyful music in the world. The first, publishing shortly, will focus on Mali”. That post should be up very shortly – in the meantime, here’s the introduction from which the above excerpt was culled. Censorship and repression in Egypt is nothing new, but the state is clearly ratcheting up its intolerance for freedom of expression. That sounds like the first line of a ponderous essay, but actually, it’s just a prologue for this rather funny Egyptian joke, courtesy of The Arabist. Second: Why don’t you have a vice-president? Fourth: Why is Egypt in a miserable economic state and you’re not doing anything about it?